Nearly a year has passed since the US implemented economic, financial and trade sanctions on Iran covering key sectors, while those on its oil and gas industry took effect last November. This is a long enough period enough to assess their impact and reveal Iran’s evasion techniques, which it has used extensively in over 40 years. Although the Trump administration is more serious than previous ones when it comes to enforcing sanctions, there are still twisted methods being sought by the mullah regime in Tehran to circumvent them and make use of neighbouring countries’ markets or by co-opting regimes. These devious methods are usually determined by the situation in neighbouring countries, some of whom are even allies of the US. 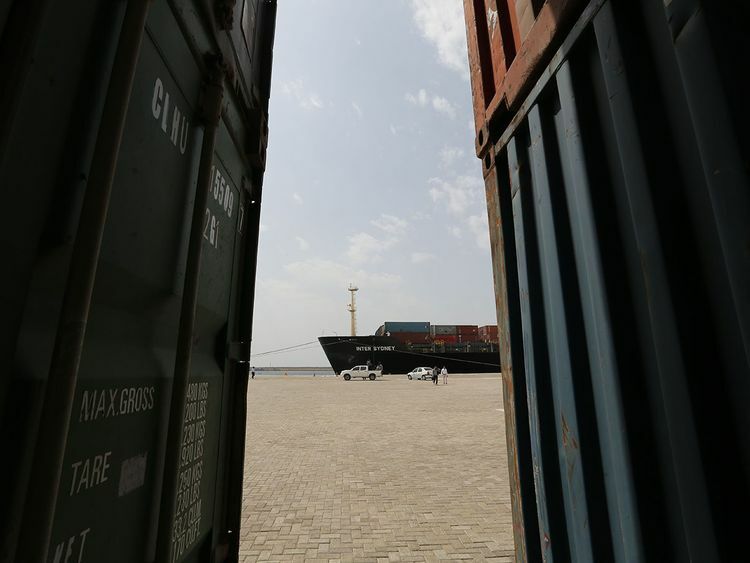 The first of these double-dealing tactics was exposed by an Iraqi leak, which revealed smuggling of Iranian oil exports to Asian markets through the port of Basra after forging Iraqi export certificates. Adding to that, $4 billion were taken back to Iran by President Hassan Rouhani during his March visit to Baghdad, according to Mohammad Javad Jamali, a member of the Iranian parliament’s National Security and Foreign Policy Committee, justifying the fund as being Iraqi obligations paid back to Tehran. Though he did not exactly identify what kind of obligations they were. There is no doubt that such amounts cannot be transferred in cash as it is supposed to go through banking and financial institutions, including the Central Bank of Iraq. It is highly likely that Trump administration, which has kept silent, is aware of that. Secondly, there are other leaks related to Tehran’s financial transactions, which are mainly carried out through Qatari financial market. Qatari banking and financial institutions are still cooperating with Iran’s financial system. Here, too, the Trump administration has remained silent. The volume of trade between Tehran and the likes of Lebanon and Turkey has doubled. This provides Tehran with important export outlets to generate much needed foreign currency. This is in addition to the continued exemptions granted by Washington to key Iranian oil importers, such as India, China and South Korea. Unlike what the Trump administration promised, Iran’s oil exports have not been zeroed out, which has proved a lifeline for the Tehran regime. Does the US administration need to stand helpless in the face of countries’ failure to abide by US sanctions imposed on Tehran? Keep in mind most of them are allies of Washington, including Iraq and Qatar. Or was it all pre-planned with these countries, which cannot up stand against Washington when it decides to tightening sanctions? If so, the impact of sanctions would be lessened, furthering Tehran’s intransigence and its of acts of de-stabilising neighbouring countries and raising tensions in the region. This comes at a time when some countries from within and outside of Opec have committed themselves to help stabilise oil supplies by increasing production to avoid any shortages caused by the cessation of Iranian oil exports. It is for those states to understand why the US exempted some countries, which did not ask for exemptions that are to last until May, if they are not renewed. It is true that these US sanctions have been more effective, as admitted by representatives of the Iranian regime, including the president. Yet, they are not effective enough because of the exemptions and diversions, which requires taking firm positions to ensure the stability of the Gulf region and of the Middle East, where Iran continues to play a destructive role.